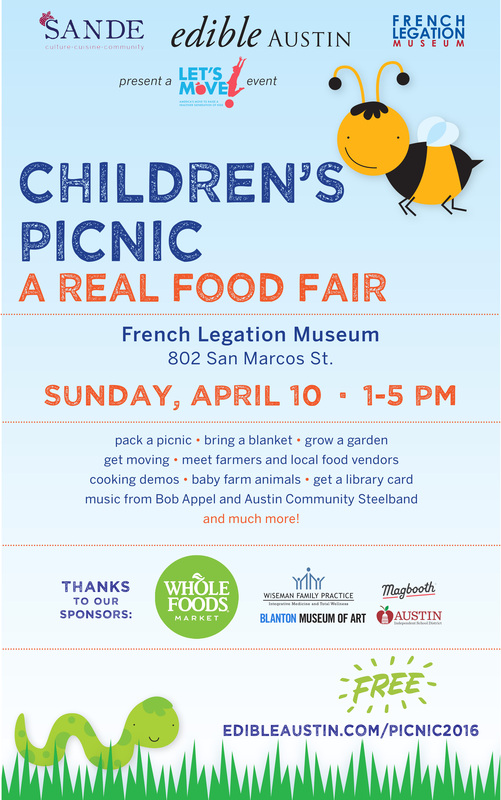 The Children’s Picnic and Real Food Fair is held each spring on the rolling grounds of the historic French Legation Museum, 802 San Marcos St. The free event, which celebrates the First Lady Michelle Obama’s Let’s Move! 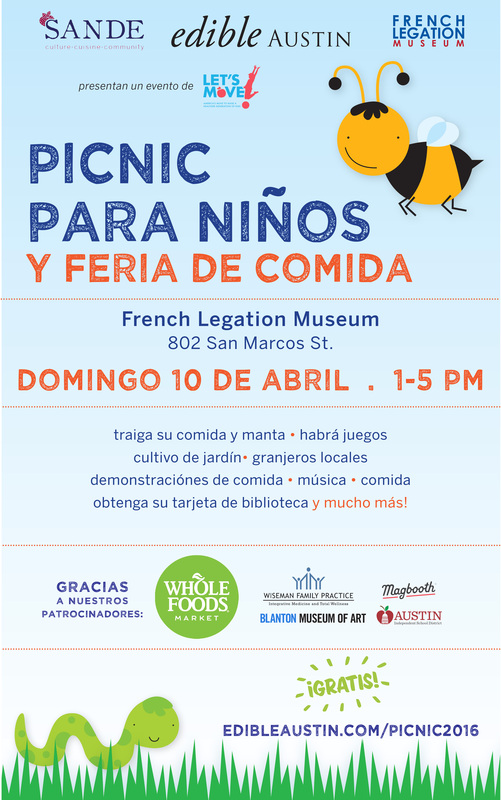 initiative, invites families to pack a picnic, bring a blanket, grow a garden, play games, meet farmers and local food vendors, and enjoy cooking demos, baby goats, music and much more. 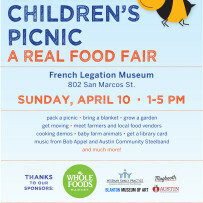 The Children’s Picnic and Real Food Fair is an opportunity for families to bring picnic lunches from home or build them at the event made from fresh fruits, vegetables and prepared foods and beverages that a variety of local farmers market food vendors will be offering for sampling and sale. Last year, Whole Foods Market led a rainwater barrel painting project in addition to all the other fun-filled activities that allowed families to connect with local food farmers, vendors and artisans. Chef demos: Culinary students from the Natural Epicurean Academy of Culinary Arts and Whole Foods Market will show families easy-to-make snacks and meals. Gardening activities: Interactive activities will include “Create Your Own Square-foot Garden,” which will allow participants to plant a portable garden to take home, plus opportunities to talk to farmers and gardening experts about growing your own food. Food and wellness education: There will be opportunities to meet representatives from Austin-area nonprofits and other health experts to learn about local food and wellness programs and discover volunteer opportunities.